This luxurious body butter contains a high content of unrefined shea butter. Shea butter is a superb source of moisture. It’s jam-packed with vitamins A, D and E, which are excellent for overall skin health. This body butter is whipped with other equally premium, unrefined carrier oils to produce a velvety smooth body butter that seals in moisture and protects your skin. This butter is unfragranced, and contains ingredients that are ideal for those whose skin likes to be pampered, or has a history of eczema and other minor skin ailments. Allergen-free Body Butter is ideal for sensitive skin with minor ailments and mild eczema. 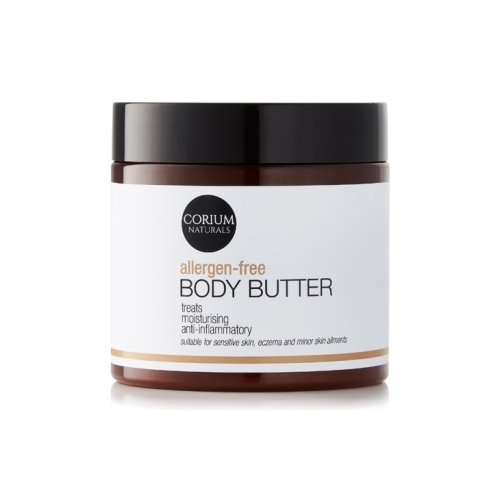 Notify me when 200ml Allergen-free Body Butter is available.